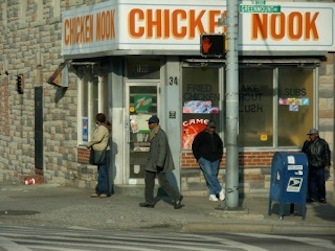 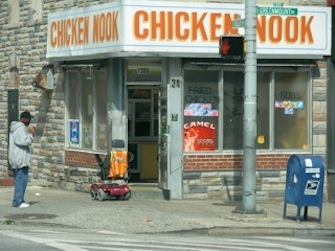 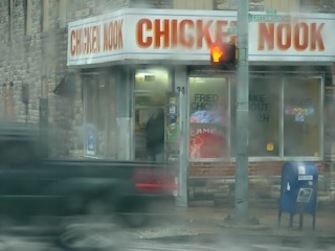 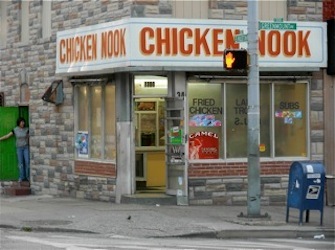 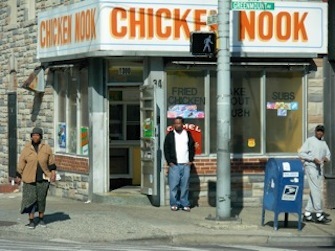 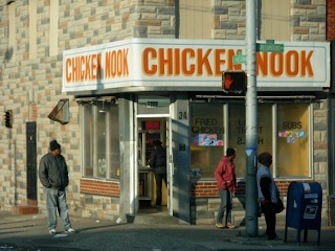 Street Corner: a series of photos of the same Baltimore street corner (Preston Street & Greenmount Avenue), featuring the Chicken Nook, a fast food establishment. 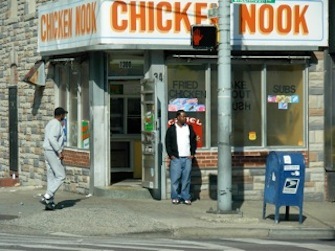 Boxed sets of 20 postcards are available from the artist. 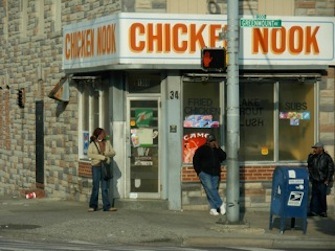 Street Corner is part of a wider artistic project, Shining Like the Sun.